Epicor ERP is the perfect example of a modular system, but what exactly does that mean? Modular programming refers to software development that separates a program into interchangeable modules that make up the final software instance. This approach is optimal for manufacturers and distributors because of the ease and functionality it provides. By simplifying maintenance and debugging, enabling faster development, making it easier for businesses to configure software to their specific needs and requiring less coding, modular software serves as the most user-friendly and robust solution to improve business processes. However, for modular software to truly prove advantageous to your company, the modules themselves need to be sophisticated enough to handle your organization’s myriad processes and amplify productivity. That’s why version 10 of Epicor ERP simplified core modules to provide a more responsive ERP platform. In part one of our review of Epicor 10 modules, we take a look at the supply chain management features, lean production components and planning and scheduling functions crucial to running a successful distribution or manufacturing business. Every step in your supply chain should aim to add value to the end product. Modern businesses are working on reducing non-valued added activities that eat away at the bottom line. Due to changing regulatory guidance and global unrest, some industries, such as oil and gas, are especially focused on achieving greater productivity throughout their supply chain. Epicor 10 optimizes supply chain forecasting, increasing transportation efficiencies and reducing distribution costs. For global manufacturers, version 10’s SCM (supply chain management) suite supports “next-shoring,” a process in which businesses relocate infrastructure from less developed, inexpensive areas to locations where their product or service demand is highest and distribution is closest and ultimately cheaper. Within this suite, an SRM (supplier relationship management) function rapidly supports contract restructuring, resets performance KPIs for suppliers and allows product configuration on the fly in the event of supplier non-conformance. Everything in your supply chain from demand management to shipping and receiving is taken care of by Epicor 10. Supply chain modules are most effective when combined with powerful BI (business intelligence) tools, like Tableau BI or Microsoft’s Power BI, to automate fulfillment and procurement based on agile demand readings. BI measures performance and provides real-time data, resulting in end-to-end visibility that users can leverage to enhance processes. Using Epicor 10, companies can take advantage of advanced SCM features in a functional, easy-to-use platform. Modern industrialists are approaching manufacturing with cleaner efficiency and greater cost control. Many resources used in manufacturing in the last century have been labeled as contaminants by environmental and health agencies. Today, manufactures are in search of production capabilities that allow them to become more sustainable, while still enjoying full capacity, faster processes and quality control. Version 10’s production module is unequivocally more robust than many other ERP systems on the market today since it provides users real-time access to infrastructure, demand forecasts, and bottlenecks. The unique part about Epicor 10 is that mobile users can easily access plant, inventory and supplier information from a simple, colorful display. The production function illustrates where inviable dependencies occur in production and how those processes can be revamped or extracted completely. By supporting Kanban manufacturing, Epicor illustrates where problems are happening, why they happen, and what challenges production will see further upstream. Users can flag parts for Kanban control and take advantage of demand planning tools to pull products through the shop floor. In addition, Epicor 10 also includes energy management features that analyze, manage and report energy consumption and carbon emissions. Overall, Epicor continuously leans out extraneous resources, events, and costs to make your enterprise more compliant to energy regulations, more efficient and more cost-effective. The planning and scheduling suite inside Epicor provides advanced functionalities for multiple constraint scheduling, balanced optimization and change impact analysis. An easy-to-use control suite graphically displays minute by minute contingencies and the impact of long running operations for on-premises or cloud users. Each operation is set up based on the unique constraints of operations like machines, tools, available materials or subassemblies. Epicor’s planning and scheduling suite advises management to consume underutilized resources—like skilled labor or subassemblies—for production. In the end, Epicor APS (advanced planning and scheduling) alleviates duplicate production or reengineering that can inevitably shift resources and capacity from other profitable operations. Managers can also review immediate impact of proposed changes to predict how those changes will affect other orders to be certain of their decision. Click on the above image to view the full-size diagram. Epicor is one of the top ERP vendors because of its commitment to constant improvement. With each upgrade, Epicor works to enhance functions and increase usability based on the needs of manufacturers and distributors. Datix partnered with Epicor because we share their value for constant improvement. We’ve even earned the status of Epicor Platinum Partner for our continuous innovations and superior support to our clients. We make sure clients receive the systems they need for their specific processes and stay on top of software maintenance and updates to ensure they always have the latest and greatest technology at their disposal. However, as a top ERP consulting firm to the mid-market, we rarely see companies rely exclusively on their ERP system to make all of their business decisions—that is nearly impossible in the modern era. Businesses supported by Epicor are more inclined to integrate a number of analytic and opportunity-focused applications with their ERP. That’s why Datix created Unity, our pre-built integration platform that connects a variety of software systems. Datix supports an Epicor ERP integration with a number of other systems, including CRM and eCommerce, to create a fully comprehensive platform that handles errors and streamlines processes throughout your entire enterprise. 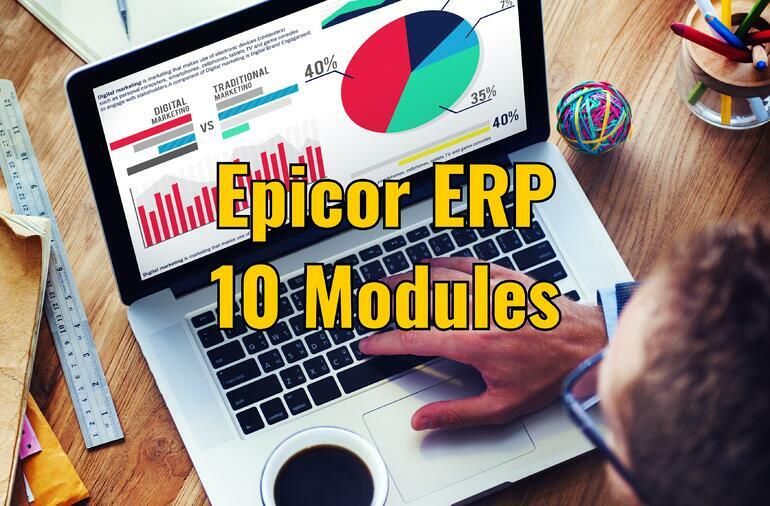 Stay tuned for the second part of our review of Epicor 10 modules, which will focus on product data management, financial management and Epicor Social Enterprise. For more information about Epicor 10 and the modules that are best for your business, contact our expert consultants today. 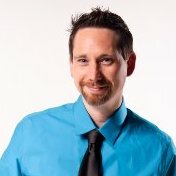 Datix's EVP of Software Development, TJ, is a veteran development leader with experience in ASP.NET, SQL Server, Project Management, and many other valuable technologies. TJ possesses the ability to quickly transform technical requirements into powerful business outcomes.